The Center for Architecture’s exhibit, “Two Wheel Transit: NYC Bike Share,” features a picture I took during a bike share demo last year of a man going for a test ride on Prospect Park West. If you find yourself on LaGuardia Place, check it out. 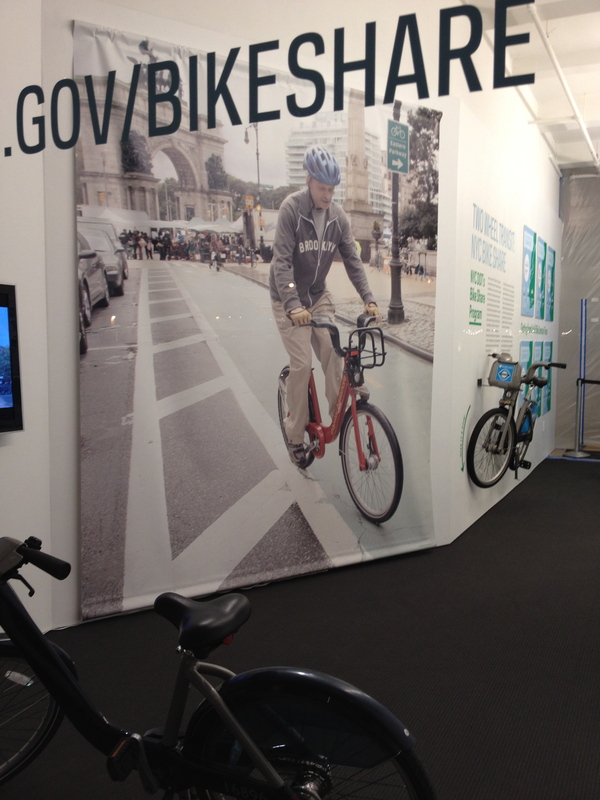 There are a few bikes from systems around the world on display, as well as short films and information on how bike share will work when it comes to New York later this year. 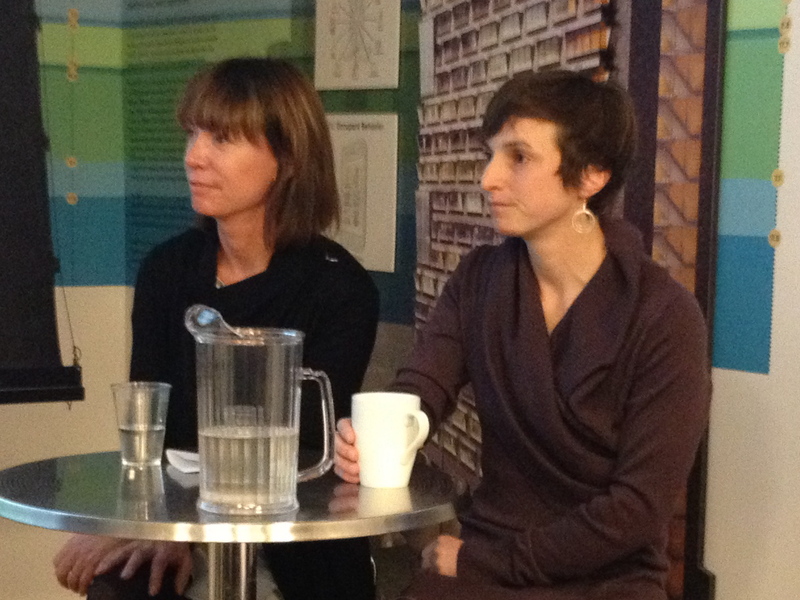 The opening reception last night featured a talk by Janette Sadik-Khan and Alta Bike Share president Alison Cohen. The standing-room-only crowd was, according to AIA, the biggest for any opening event at the Center. It was also, in my opinion, a good barometer of just how ready and enthusiastic New Yorkers are for bike share. The energy in the room was truly electric, and as a father to a young girl I couldn’t help but think how cool it is that the biggest transportation revolution to hit New York City since the subway is being led by two women. You can check out “Two Wheel Transit” at the AIA Center for Architecture through Feburary 4th.